Since 1917 the Netherlands has had school choice and today more than 2/3 of all schools are run privately, though all are equally funded by the state. Choice in the Netherlands comes as a surprise to many, including pro-choice advocates in the United States. But it is certainly not ignored for its progress. The Netherlands is consistently ranked high in academic achievement. Since 2003, among countries with continuous participation in PISA, the Netherlands on average ranks in the top 10, in fact, number 8 in the world in mathematics. 1. Educational freedom and choice. 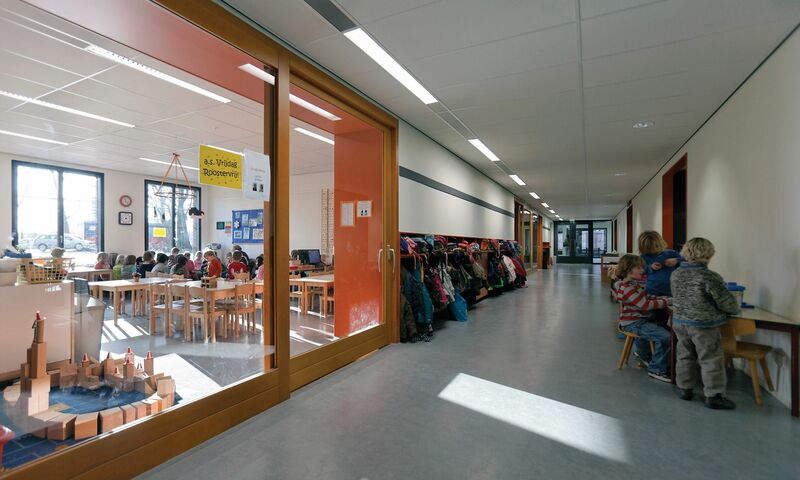 One of the key features of the Dutch education system is freedom of education (guaranteed under Article 23 of the Constitution) – freedom to establish schools and organize teaching. The country’s policies encourage innovation by providers; schools are not restricted to teaching the core curriculum; and they can tailor the curriculum to meet the needs of the specific students they teach. Schools are also able to select teachers and set wage and salary increases. There is relative ease of entry of new providers. A small number of parents can and do propose to start a school. Government is required to provide initial capital costs and ongoing expenses, while the municipality provides buildings. The school choice system creates a healthy dose of competition. Coupled with transparent achievement results dissemination by the national inspectorate, the competition leads to improved academic results. School rankings published in the national newspaper Trouw led to significance quality improvements by schools with relatively low rankings. Yet, even with high overall scores and seeming equity in performance, it is the case that private school attendance promotes academic performance. In fact, private school attendance is associated with higher test scores in math, reading and science. The reason for that is that in the Netherlands, private school choice is not the preserve of the rich. In fact, it is relatively less educated parents that send their children to private schools. 2. Regulations and policy apply to the whole system, public and private. Moreover, it is municipal authorities that manage public schools; the central Ministry of Education oversees all schools through regulation and policy. The Netherlands has a well-developed policy environment for engaging the private sector in education. While the freedom to organize teaching means that schools are free to determine how to teach, still the Ministry of Education, Culture and Science does impose a few statutory standards in relation to the quality of education. The country also has a high level of school accountability. Information has been publicly available from the Dutch Inspectorate of Education since 1998. The Education Inspectorate is charged by the Minister of Education with supervising the way schools fulfill their responsibilities. 3. A focus on equity. Schools must admit all pupils and most pursue non-restrictive admissions policies. Money follows students and each school receives for each student enrolled a sum equivalent to the per student cost of public schooling. The school that receives the funds is then entitled to funding that will cover specified amounts of teacher salaries and other expenses. There is, despite school choice and diversity of supply, no significant elite school sector, and private schools are run not-for-profit. The government also increases funding to meet specific student needs. Moreover, the Netherlands delivers these results while spending considerably less than most other countries. While the specific policies are uniquely Dutch, the system characteristics are eminently adaptable in other countries. There are in fact several jurisdictions that follow similar policies.